Truman Brewery – Brick Lane. The day I have been waiting for for the last three years of my University life. This is the day that my garments will be seen by the public for the first time. To present all the hard work and time I have put into designing and making these 6 outfits. It was such a surreal moment to see my garments on the catwalk. It was amazing and nervewracking at the same time. How would my garments be received? Would they be loved for hated? Hearing cheers and photographers snapping away I was hoping all would run smoothly. And thankfully it did. 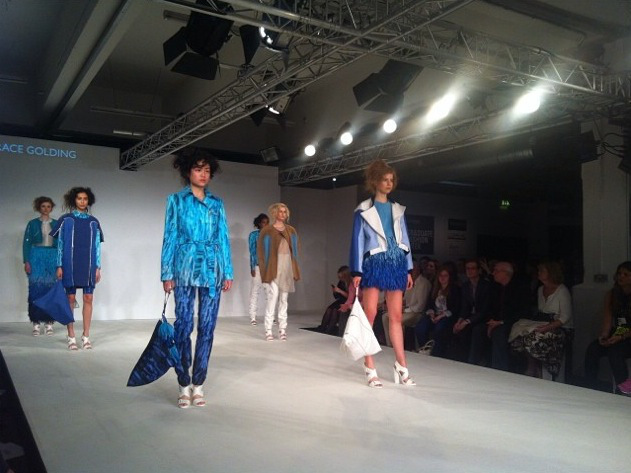 To say I have shown at Graduate Fashion Week is a truly honourable thing.